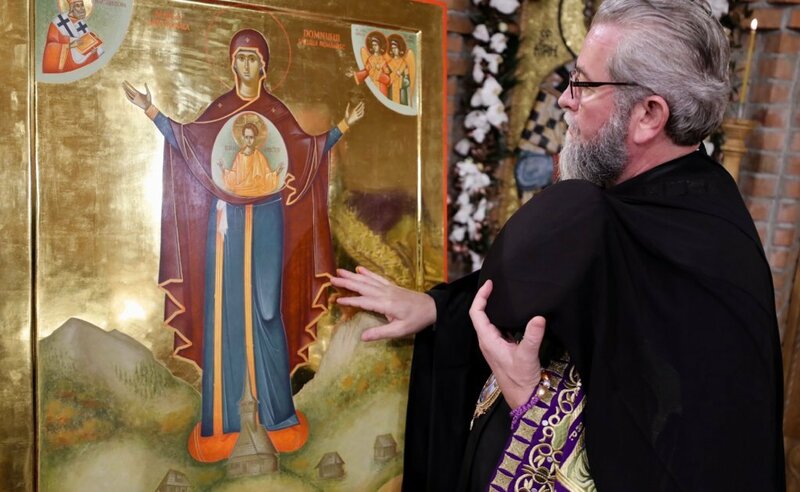 A new icon of the Mother of God the Protectress of the Romanian Village was blessed at Baia Mare marking the beginning of 2019, declared a Solemn Year of the Romanian Village by the Holy Synod of the Romanian Orthodox Church. 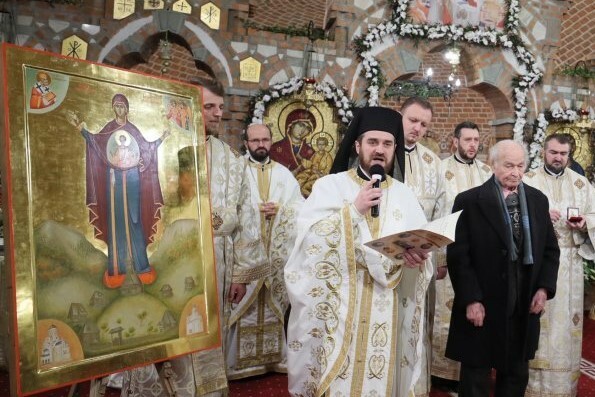 The icon was blessed by His Grace Bishop Justin of Maramureş and Sătmar on New Year’s Day and enshrined at the Holy Trinity Diocesan Cathedral of Baia Mare. In this icon the Mother of God is depicted as standing, with her hands raised in the orans position, and the image of the Child Jesus depicted within a round aureole upon her breast. 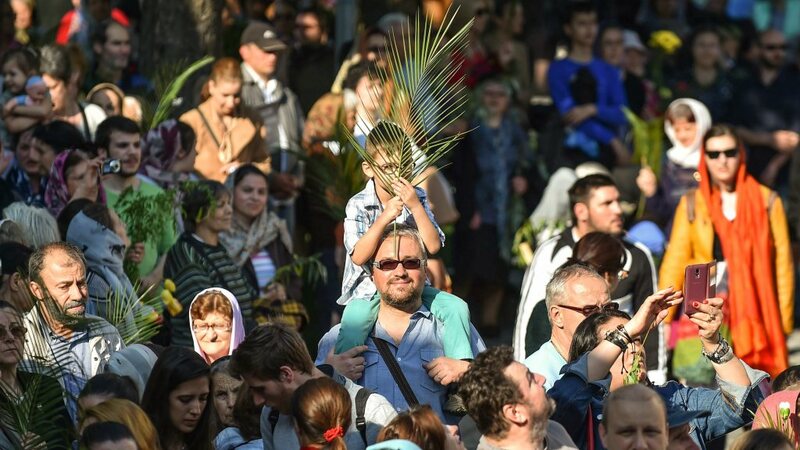 Under the Holy Virgin’s feet there is a traditional village set at the base of two hills, with a wooden church, a wooden gate, and traditional rural houses. 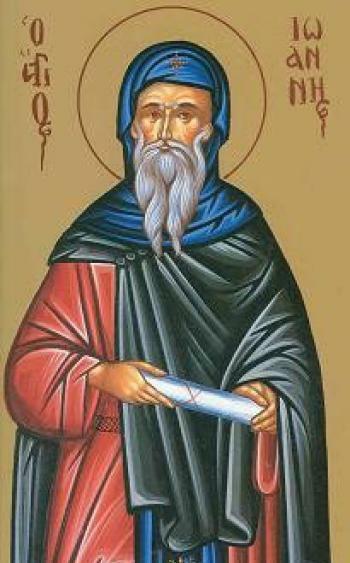 In the upper left corner of the icon there is the depiction of St Joseph the Confessor, the Patron Saint of the Maramures Diocese, while on the right side the Holy Archangels Michael and Gabriel are depicted, being the protectors of the Maramureş region. 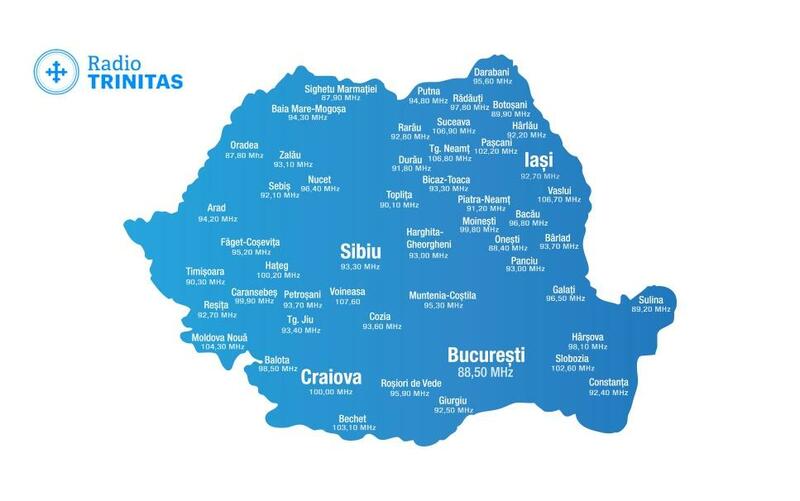 The two diocesan cathedrals of Baia Mare and Satu Mare are also depicted in the lower corners of the icon. 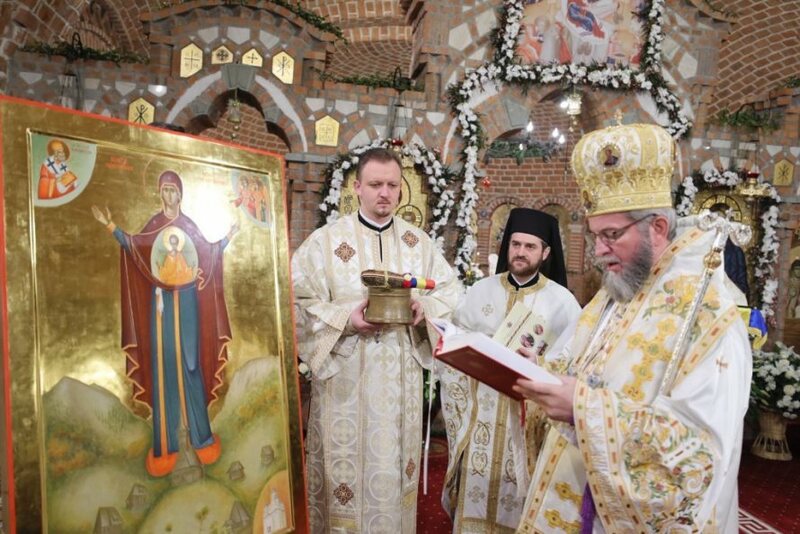 Bp Justin of Maramures blessing the Icon of the Panagia the Protectress of the Romanian Village. 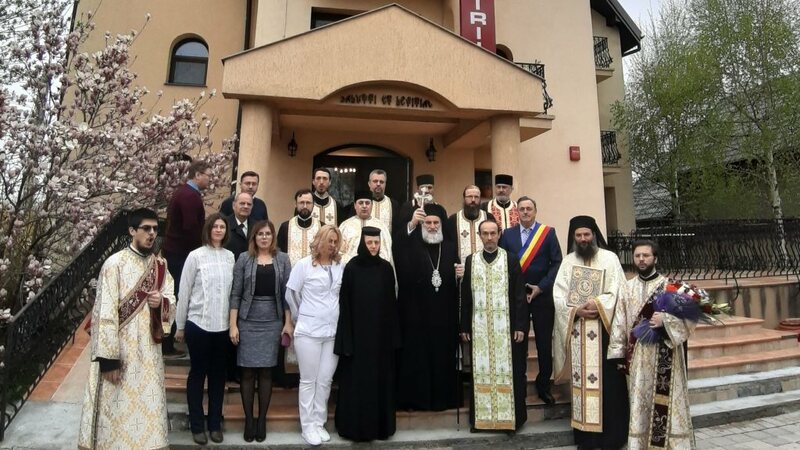 ‘Through the blessed families living in villages, the Romanian village is the creator of the sacred patrimony: churches and monasteries,’ he said. 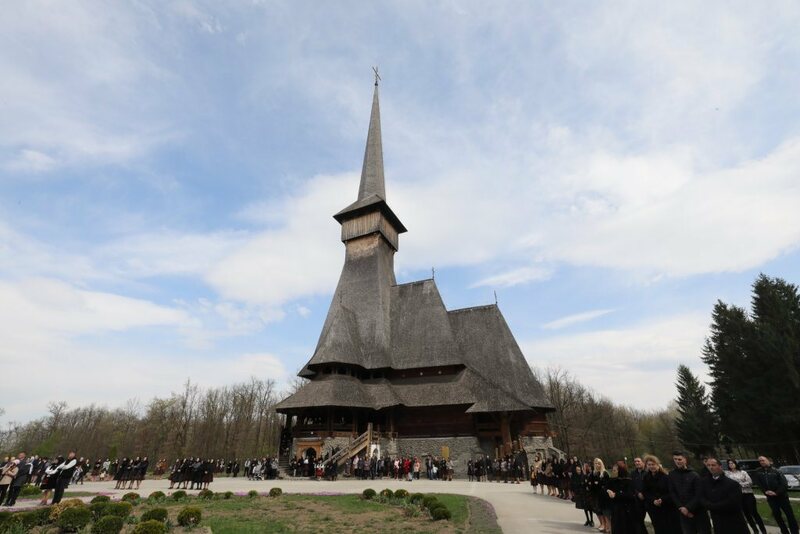 The Romanian village gave birth to ‘great personalities, geniuses, leaders, princes, people of Christian culture and many saints,’ Bp Justin said.